You can tell when residents are hitting the government where it hurts – when the press coverage from the government turns to spin – and more spin. 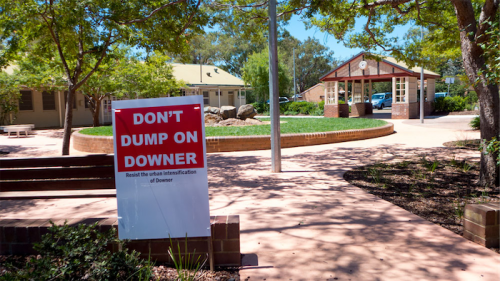 There is no doubt that this is a response to the successes the pesky residents of Downer have had in getting attention through their brilliant “Don’t Dump on Downer” grassroots campaign. Click here.